Sun Bread by Elisa Kleven (The Lion and the Little Red Bird, Abuela [illustrator]) is a wonderful picture book for a grey day. Both the pictures and text will have you feeling warm and cozy in no time. 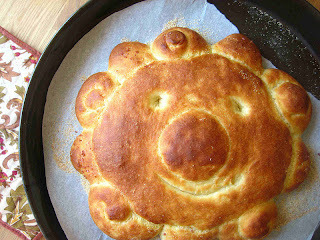 And triply so if you follow the book's included recipe! The wind is whooshing, the snow is whirling, the rain is streaming, and everyone misses the sun. 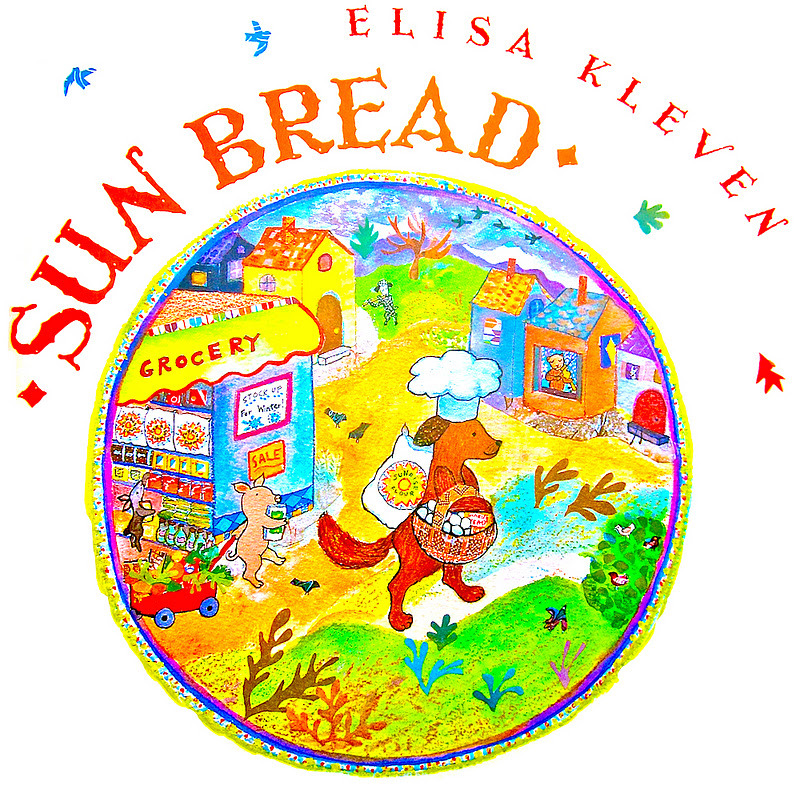 The baker misses it so much that she mixes some dough, then kneads and shapes it into a warm, round, golden sun bread. When the animals eat it, they not only stop grumbling, they begin to rise! 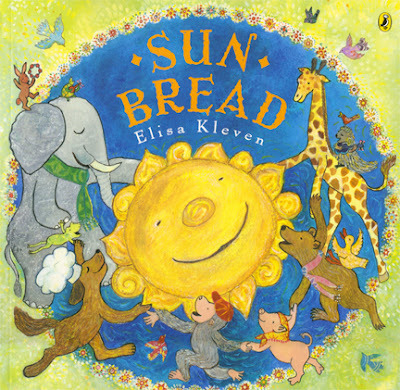 Birds and beasts join in a joyous celebration that wakes up the real sun, who takes part in the feast and beams back down on the world continuing the work the sun bread started. 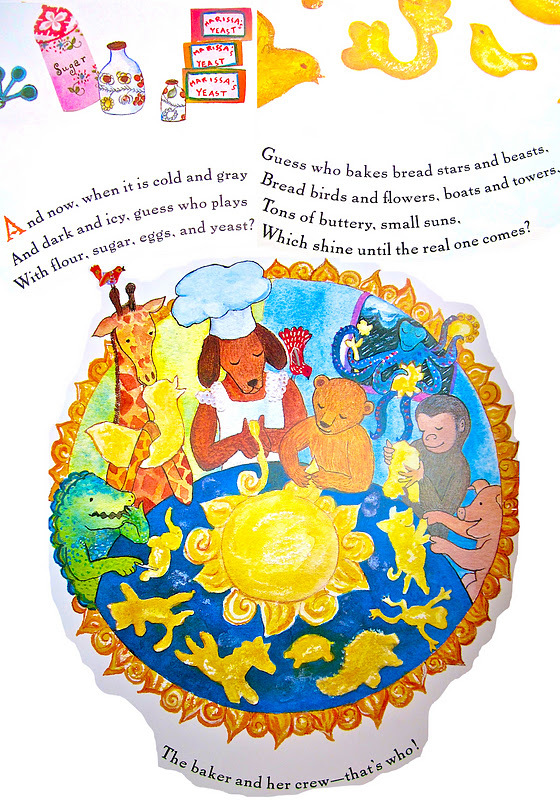 With its cheery, chewy rhyming text-positively brilliant for reading aloud-and its host of expressive animal characters, this happy picture book salutes the alchemy of both the baker and the sun. A sun-bread recipe is included.